In Lincoln Park, collegians mix with freshly-minted lawyers, barrel-chested brokers, and the young families created by this mix and mingle on the north side of Chicago, a short walk from miles of beautiful parks and the fabulous Lincoln Park Zoo. Just south is Old Town, a striking collision of rich and poor, and home of Chicago's two most celebrated theaters, Steppenwolf and Second City. The flames of the Great Chicago Fire of 1871 lapped at the borders of Lincoln Park, and burned no further than Fullerton Avenue. It was, then, a small community of Polish and German settlers near the northern boundaries of the city, named Lake Park for the swamplands (and cemeteries) that were drained by the lake, and re-named Lincoln Park for the slain president in 1865. The area now known as Old Town was not so lucky in the Fire, but was spared the extensive damage of the city center. Today, its pre-fire history can be seen in the winding layout of the streets in the Old Town Triangle Historic District, and can be heard in the bells of St. Michael's Church, one of the few structures to stand in the path of the fire and survive. The neighborhood was hit hard by the urban flight of the 1950s, and many of those classic structures were converted into boarding houses that became affordable for beatniks: artists, folk musicians, actors, and others moved in and made Old Town into the counterculture capital of Chicago for the next two decades. Miles, Janis, Dylan, and Seeger played in and outside of the clubs in Old Town. It was where teens from staid neighborhoods (like Lincoln Park) came to feel the edge. Guitars! Long hair! Loitering! Old Town had it all. 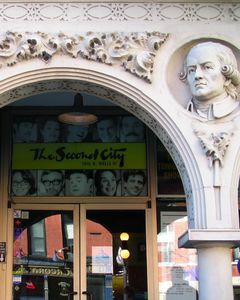 Into this environment came the city's greatest comedic force, a group of ex-pats from Hyde Park who named their new theater The Second City, and reinvented American comedy. Years later, a similarly talented band of college actors arrived to establish Steppenwolf, who set the tone for the next two decades of dramatic theater. The shocking violence of the 1968 Democratic Convention spelled the end of the hippie era in Old Town. Soon, property values were on the rise, and only the more financially successful countercultural outlets could stay in business. Today, you'll find a historic district and the new Chicago History Museum to guide you around, and you can split an amazing night at the theater with one of the trendy restaurants nearby. Old Town is divided, though: crumbling buildings sit on one side of North Avenue without ever much affecting a trip to Steppenwolf on the other side. Old Town is a neighborhood that knows the contradictions within its boundaries, and lives with them. 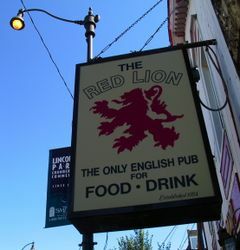 Lincoln Park's distinction, on the other hand, is a quieter, more homogenous community alongside of DePaul University. One can experience and live in the neighborhood with the park, beautiful architecture, ponds, and the zoo without even feeling the presence of the University--or one can indulge in the sports bars especially along Lincoln Avenue for a distinctly collegiate atmosphere, created not only by students but also by young professionals with fond memories of having been students within the last two decades. The weekend club scene in Lincoln Park is definitely a college crowd. 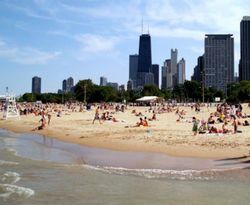 That aside, Lincoln Park also has a row of shopping boutiques that is the envy of much of the rest of the city, and the taxes that churn through the local economy go to the well-maintained expanses of the eponymous park, the lakefront bike and jogging trails, and North Avenue Beach. Also, to its credit, the Lincoln Park Zoo didn't rest on its laurels after it got that bear. The CTA Red Line runs along Sheffield Avenue and stops at Fullerton in Lincoln Park and North/Clybourn at the edge of Old Town. 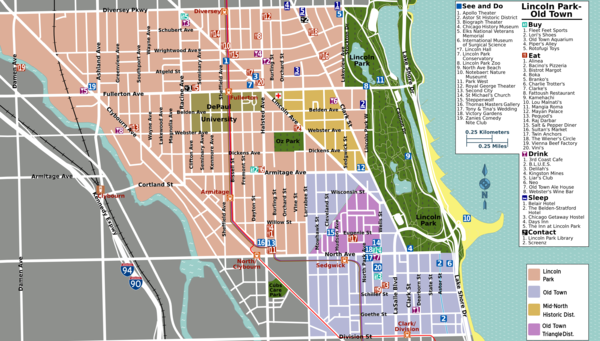 The Brown Line, further west, connects with the Red Line at Fullerton, but also makes stops in Lincoln Park at Armitage and Diversey, and in Old Town at Sedgwick. The Metra Union Pacific District Northwest Line and Union Pacific North Line both stop at the Clybourn station just across the Chicago River in Logan, from which you can catch the 73 Armitage bus into Lincoln Park. 8 Halsted runs past Steppenwolf's front door in Old Town. 11 Lincoln is a slow bus, but it does run down Lincoln Park's key artery. 22 Clark runs all night north/south down Clark Street, from the Near North and through both Old Town and Lincoln Park, before heading on to Lakeview. 72 North runs on North Avenue, into the heart of Old Town, and on to Bucktown. 73 Armitage serves the Armitage shopping corridor. 74 Fullerton runs east/west on Fullerton, the major artery in Lincoln Park. 76 Diversey runs east/west on Diversey, the border between Lincoln Park and Lakeview, and continues to Logan Square. 151 Sheridan and 156 LaSalle both reach the Lincoln Park Zoo and the lakefront from the Near North. The 151 runs all night. Lake Shore Drive has exits at Fullerton for Lincoln Park and North Avenue for Old Town. From the Kennedy Expressway, take any of the eastbound exits at Division, North, Fullerton, and Diversey. There are parking garages in close proximity to the theaters (notably Piper's Alley in Old Town) and on the grounds of the Lincoln Park Zoo ($14, 1-3 hours). 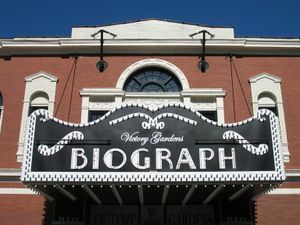 The Lincoln Park Zoo and the lakefront are the biggest highlights for a day here, especially with kids, but a few sights, particularly the Biograph Theater and the historic districts, are at their most powerful by night. These areas have some of the most impressive homes in Chicago, and can be covered easily on foot. For guided walking tours, check with the Chicago History Museum (above). Summers in Lincoln Park are full of festivals, with one for every major street and parish. Expect beer, non-descript food and a few jam bands. Old Town has one that's definitely worth singling out, though. Trendy boutique shopping can be found at the shops on Armitage between Halsted and Sheffield in Lincoln Park. The Lincoln Park Zoo may be free, but the food court and the concessions are a bit steep. If you need to eat at the zoo, take some solace in remembering how much you paid to get in! The DePaul area has a lot of fast food targeted at students, mostly sandwich and noodle shops. Lincoln Park is crammed with mid-range Italian restaurants. Sushi places aren't rare, either. It's no accident that the most fashionable (and expensive) restaurants are situated near Steppenwolf and the surrounding theaters on Halsted. The ease of getting a reservation will be inversely proportional to the number of shows on around that time! Each one of these restaurants offers a memorable, world-class dining experience, and will give you a great story to tell. Don't lose track of your budget, though — spending $500 on a meal for two is not unheard of. If there's a college sports game that you can't miss while you're in town, make tracks to Lincoln Park. Most of the alumni associations (especially for Big Ten schools) have a bar staked out for themselves. If you are in the mood for exploration, and would like to evade the sports bar scene in Lincoln Park, consider heading west across the river to Wicker Park or Bucktown for some more colorful nightlife and shopping. This page was last edited on 2 June 2017, at 17:54.